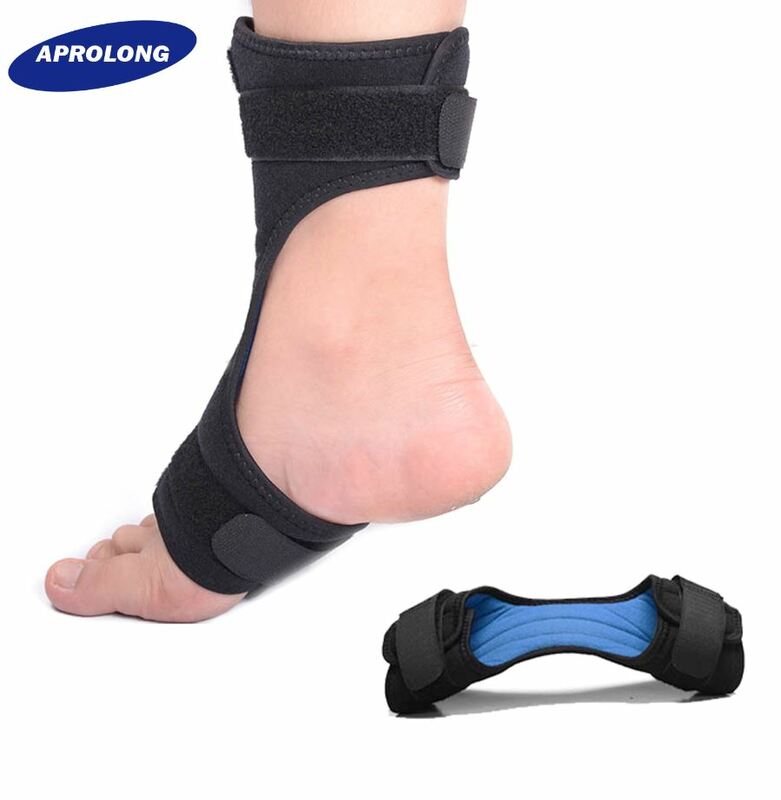 TradeBoss.com - Plantar Fasciitis Support Orthotics Drop Foot Brace, Product by Lianyungang Aprolong Co., Ltd.
GREAT FOOT SUPPORT AND MORNING PAIN RELIEF: This dorsal night splint is designed to keep foot stretched and provide gradual corrective orthopedic support for drop foot, help relieve morning foot/heel pain associated with plantar fasciitis. LOW PROFILE, OPEN HEEL DESIGN: Enhance breathability and provide exceptional support that can withstand extensive use. 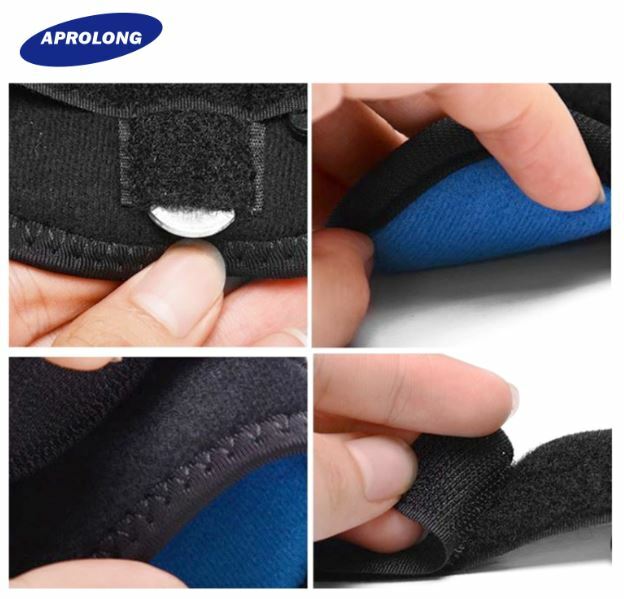 The interior of the plantar fasciitis night splint is comfortably padded with a breathable foam with a soft lining. The soft lining prevents skin irritation, blisters and abrasions. 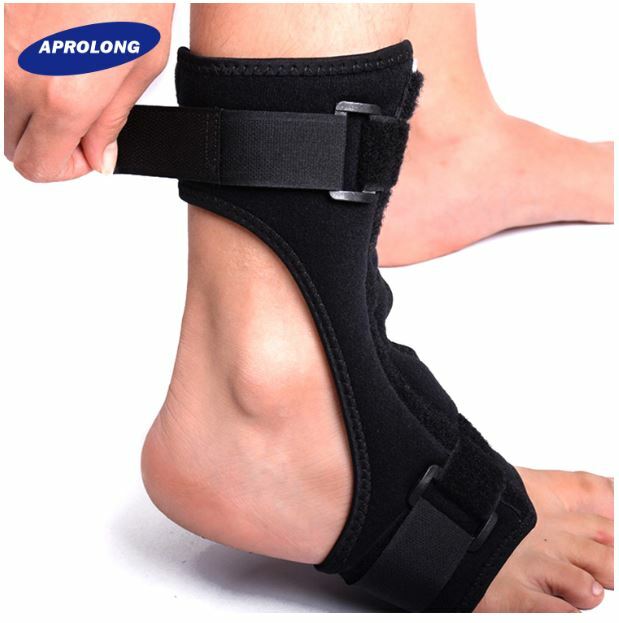 ADJUSTABLE POSTERIOR SPLINT ANGLE: The bendable metal bar at the instep holding the foot in a flexed position keeps the arch stretched. 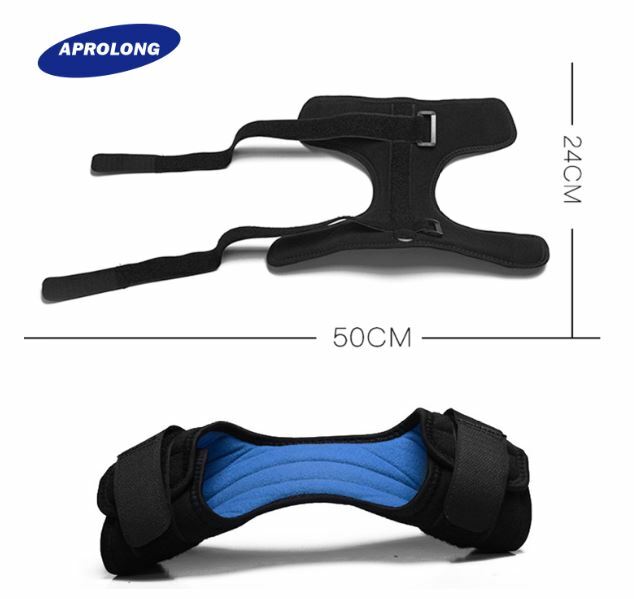 The tension straps can be adjusted to increase angle of the foot from 90 to 85 degrees for your comfortable fit.